Château Puy Castera is a cru bourgeois estate in the Haut-Médoc that is happy to focus on the quality of its wine rather than with its image or status in the Medoc hierarchy and as a result it happily produces a delicious and charming wine at a very good price. Not surprisingly the wine has developed a loyal following and it is not unheard of for even private customers to order a dozen cases of each vintage. This is not the sort of claret that demands a decade or two in the bottle before it becomes drinkable, the fruit is always on top of the structure and it is never burdened with an excess of tannin or new oak. 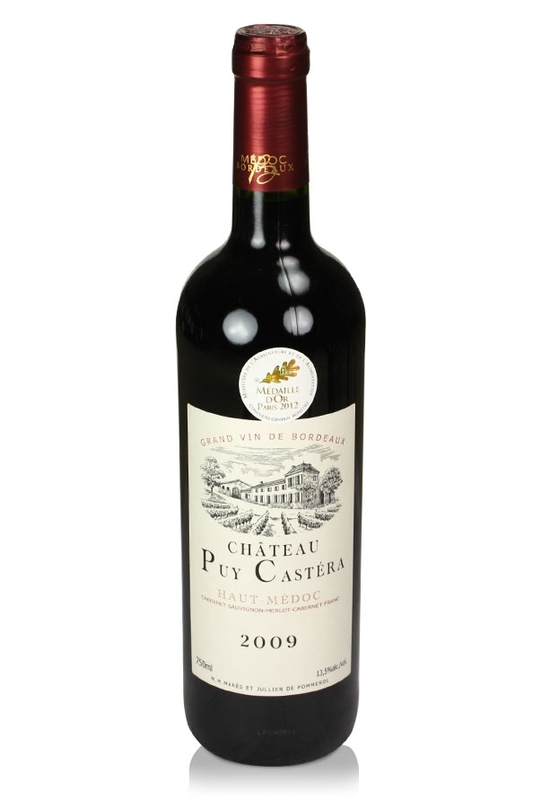 Situated close to the boundaries of Pauillac and St Estephe, this ‘cru bourgeois’ property derives its name from two ancient words, ‘Puy’ meaning ‘tertre’ or hillock, and ‘Castera’ as in ‘castrum’, the latin word for a camp or fort. The 28 hectares of vineyard are planted with the traditional Medocain mix of cabernet sauvignon, merlot, cabernet franc, malbec and petit verdot. The consulting oenologist is M. Boissenot, the most discreet and distinguished advisor to many, if not, most of the top chateaux in the Medoc, so you will not see anything flashy or exaggerated in these wines. They are made with drinkers in mind, rather than investors. A remarkable example of good claret at a good price. Another of our recommendations from Mark Savage MW.